"Are one of the most beloved game developers working on too many games at once?" The first several years for Platinum Games felt like a breath of fresh air for Japanese game development. Consisting of former Capcom guys, some of the biggest names in that industry finally got to see what they can do on their own. They made their mark with the Devil May Cry and Resident Evil franchises, but their experience did lead them to creating some of the best and stylish games in recent memory. However since the later years of the last console generation, they have been more like hired mercenaries working on established franchises and popular licenses. In other words, they have been batting cleanup for some of their recent games. Did this shift in game development made Platinum lose what made them one of the most beloved game studios in the first place? Platinum's partnership with Activision today is still a strange beast. Sure, the studio has multiple teams and Activision tasked them on working with some of the most popular licenses. Their first game together was based on Avatar: Legend of Korra. It was a decent character action game, but Platinum fans expected more because of their pedigree with the genre. Last year, they released Transformers Devastation, which I recently played through because it's free this month thanks to PlayStation Plus. Just like Korra, it's a decent game but Platinum added more fun and effort to it. I'll talk more about that in a bit. 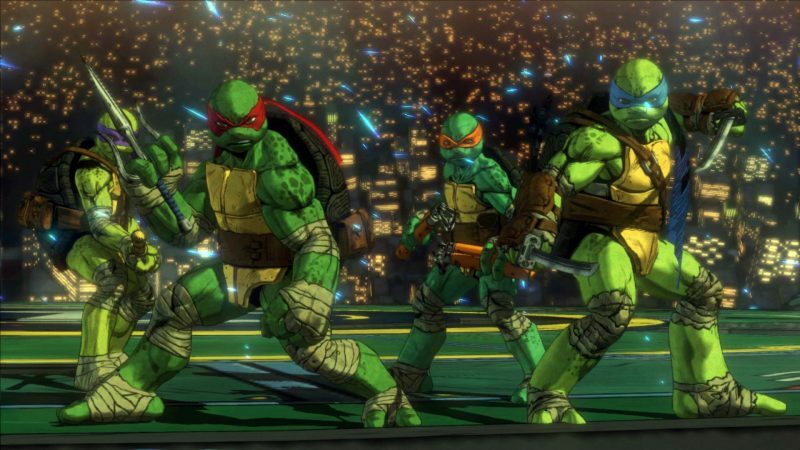 Earlier this year had their latest effort, Teenage Mutant Ninja Turtles: Mutants in Manhattan, but the game ended up disappointing. Platinum working on your favorite childhood licenses may have been awesome on paper, but the results have been hit and miss. 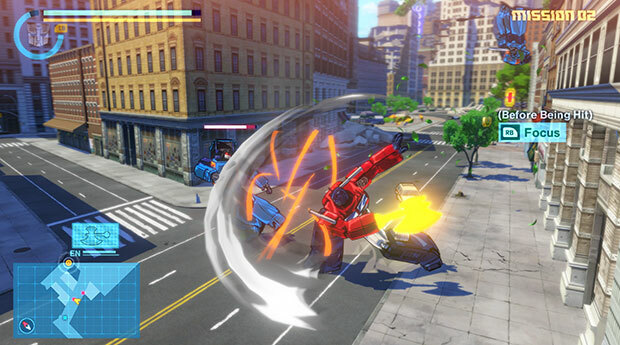 Transformers Devastation is the best of the three games I mentioned because I felt like Platinum had more time with them compared to the other two. Korra and TMNT felt like rushed jobs, but Transformers lived up to the better source material of that franchise. All of these games have a Saturday morning cartoon approach to them as if you're watching a multi-part story arc. Plus, they're short enough to be played through in a single day. I wondered how these games would pan out if they put as much effort to them without publisher pressure. In some way, Platinum Games' efforts on these licensed games are the new "games based on movies" that ran shop decades ago. Platinum working on Transformers and TMNT felt like dream projects and fans always beg for more of them. Power Rangers is among the top of the list in honor of the movie reboot. However Bandai Namco is already putting out an old school beat-em-up early next year. Other than those projects, Platinum has been treated like hired mercenaries to work on popular game franchises to mixed results. I loved Metal Gear Rising: Revengeance, but this year's Star Fox Zero was such a lackluster effort. That's coming from someone that played Star Fox 64 to death back in it's heyday. Maybe it was Miyamoto's GamePad-heavy philosophy that hampered the project, but who knows. Platinum is developing Nier: Automata for early next year, so we'll see if that lives up to fan expectations. Are Platinum Games working on too many projects at once? I believe so and sure, they have multiple teams, but they seem to lost their magic touch. Bayonetta, MadWorld and Vanquish had that special charm that their recent games don't have. They have said that working on licensed projects does keep the studio alive and diversifying their portfolio, but I do wish they step back a bit and return to their roots. 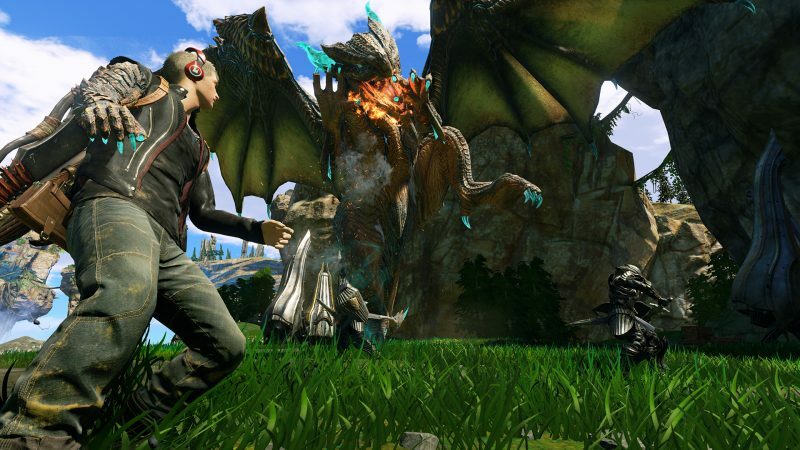 Hopefully next year's Scalebound, headed by Hideki Kamiya, is a return to form for Platinum. It's last demo appearance at E3 this summer wasn't impressive though. There's still signs of greatness within one of the most beloved game developers in recent years. They just have to cool it down a notch in terms of getting involved in too many projects. Go back to what you were known for delivering cool and stylish action games than handling someone else's dirty work. In some ways, you're the last hope for Japanese game development Platinum. Please don't go down to mediocrity like most of your peers did.